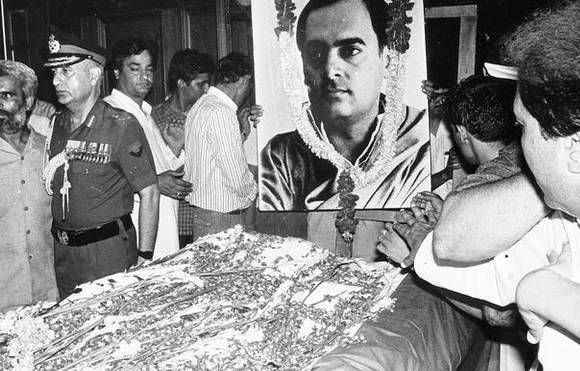 The Supreme Court was on Friday informed by the Centre that the convicts of the Rajiv Gandhi assassination case cannot be released, holding that setting them free will set a “dangerous precedent”. The Tamil Nadu government’s proposal to release the convicts is not acceptable to the Centre, Additional Solicitor General Pinky Anand, appearing for the Centre, told a bench headed by Justice Ranjan Gogoi. “Releasing the killers of a former Prime Minister will set a very dangerous precedent. “The case has been decided by various forum of judiciary and executive and the prisoners do not deserve to be set free,” said the Centre in its report. Placing before the bench the decision of the Ministry of Home Affairs, taken on April 18, Anand said the Centre has taken a decision not to release the seven convicts on the state government’s proposal. It said that the Central Bureau of Investigation has opposed the Tamil Nadu government’s proposal to release the convicts in the “interest of justice”. “The case has been reviewed, scrutinised by various forums of judiciary and executive and both the highest judicial and executive forum have evaluated the case and decided the matter. “Releasing the four foreign nationals who had committed the gruesome murder of the former Prime Minister of this country along with 15 others, most of who were police officers, in connivance with three Indian nationals will set a dangerous precedent and lead to international ramifications by other such criminals in the future,” the Centre’s document stated. “The Centre, in pursuance of Section 435 of the Code of Criminal Procedure (CrPC) does not concur to the proposal of Tamil Nadu government for grant of further remission of sentence to the seven convicts,” said the union government.